Sell iPad 1st Gen | How Much is My iPad 1st Gen Worth? Select the information above in order to receive an accurate quote for the iPad you want to sell. Click sell item if you agree with the price that is displayed. GreenBuyback purchases cell phones, tablets, and laptops at the highest prices in the industry! GreenBuyback pays cash for your old cell phones, tablets, and laptops. When you sell your cell phone, tablet, or laptop to GreenBuyback you will never have to pay shipping. GreenBuyback is dedicated to maximizing the cash back to our customers. Sell your iPad for cash today! Apple released the first generation iPad in 2010, with three different storage sizes: 16, 32, or 64 GB. This model iPad was available with wi-fi, or wi-fi and 3G access, meaning it could make phone calls. 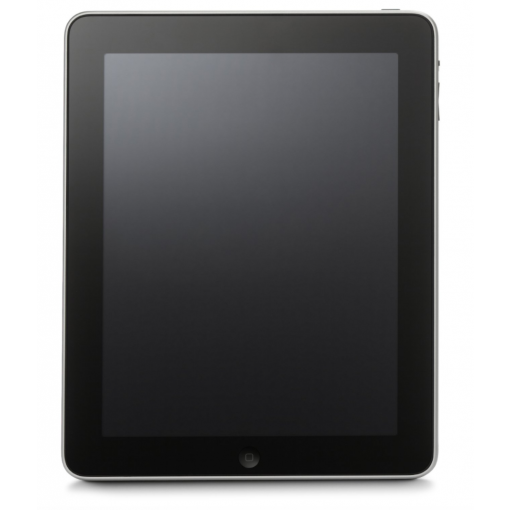 This iPad is also Bluetooth compatible, so it could work with wireless keyboards, making it ideal for travel or work. The display screen on Apple’s first generation iPad is a multi-touch LED screen with vivid color. Selling a iPad is so easy with GreenBuyback; send your iPad to GreenBuyback with free shipping and you’ll get cash sent to you fast! The first generation iPad has a camera on the front of the iPad, though the camera wasn’t spectacular on the first generation iPad, this was Apple’s first tablet and the upgrades come in further generations. The iPad measures 7.47 inches wide by 9.56 inches tall and half an inch deep. GreenBuyback will buy your iPad in any condition, even broken! Simply head to GreenBuyback to get a quote, send your iPad in, and get cash quick!